The AMUSF Diploma Qualification Courses are suitable for beginners and those with upholstery experience who wish to further develop their skills. They bring together both traditional and modern materials and techniques. There are three Stages and each Stage has 210 hours/30 days of tailored tutoring within the fully equipped Skills Centre. You have a choice of training patterns and learn from tutors who are experts within their field. Each student at the Centre is encouraged to aim for and develop their skills to the highest level. This is achieved through tutoring that is tailored to each individual and delivered in a relaxed and friendly yet hard working environment. Learn in a friendly and professional environment. You can start your training in either September or February and you can complete either one or two stages in a year. Once you have completed the three Stage Diploma, you can also take advantage of our exclusive Gateway and work experience schemes. 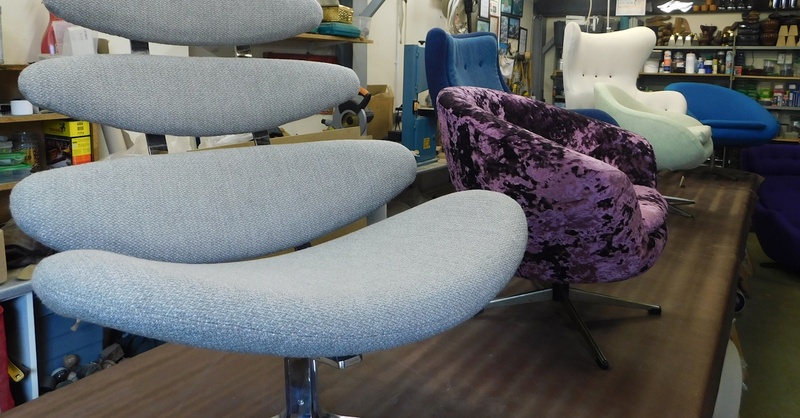 These unique schemes provide continued support and in-house work experience for our newly qualified upholsterers. We will always do our best to accommodate your needs and to help you find the training option that suits you best.